What follows is the “program” that helped a lot of people to stop biting nails, fingers and hands for good. This worked when everything else had failed, and if it worked for a lot of people, it’s at least a good place to start for you guys. You have to commit to STOP BITING. And we mean you have to really commit to it. Do this however you have to. Say it out loud to your partner, parents or friends. Write it down and stick it over your desk so you can see it every day. Put it on Twitter. Hold it silently in the still part of your soul. Your word is your bond, and this is a promise you’re making to yourself. Take it as seriously as if you were making a solemn vow to your very best friend. No half-measures here–you’re in or you’re out. 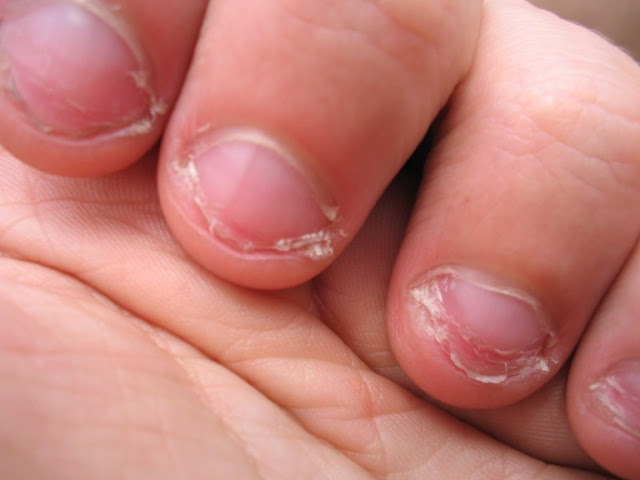 We know how annoying it is to have someone say “The only way to stop biting your nails is to stop.” Boy, do I know. But even more annoyingly, it’s true. You have to stop putting your fingers in your mouth, or idly picking at loose skin, or scratching the surfaces, or messing with your cuticles, or whatever your particular habit is. Seriously. We’re going to get into ways about how you can do this in a second, but right now we have to talk about something else equally important. A lot of bad habits happen when we are zoned out–nail polish gets pulled off, dry skin on lips gets picked, and yes, nails get bitten. You need to fight against this. Be present and aware of what you’re doing all the time, or as much of the time as you can, so that you aren’t unconsciously engaging in nail-biting. You may already know what these are; you might bite out of boredom or when you’re not paying attention, when you’re especially stressed, when you’re unhappy, to vent your anxiety, etc. If you don’t have these identified, that’s OK! Pay attention and see if you can find a relationship between events or emotional states and how much you want to bite. In most cases, this will become clear really quickly. Once you know what gets you started wanting to bite, you can more easily head it off at the pass. Yeah, you gotta deal with that, otherwise another bad habit is just gonna replace the one you’re trying to get rid of. Whether this is therapy, medication, yoga, meditation, competitive paper airplane folding, whatever–get into it and rout it out. Because most of the people were The Living Worst for the first six weeks after they stopped biting nails–constantly snapping bands and scolding and generally being twitchy and overly-anxious.